Our friends at the Guru Nanak Gurudwara in Smethwick Gurdwara are lighting the building purple for October to support our Go Purple campaign and stand in solidarity with victims of domestic abuse. Smethwick’s most iconic building and one of the largest Sikh Gurdwaras in the UK, the Guru Nanak Gurdwara Smethwick has joined up with Black Country Women’s Aid to go purple as part of a push for domestic abuse awareness. October is domestic abuse awareness month and the Guru Nanak Gurdwara officials did their part to raise awareness by lighting the Gurdwara building in purple. I am overwhelmed by the support of our friends at the Smethwick Gurdwara in our “Go Purple” campaign. Lighting up this beautiful building purple will show the whole community that we challenge violence within the home, we stand together in supporting victims and we send a message of hope to all that there are safe spaces in Sandwell to get help and support. The illumination is part of BCWA’s Go Purple campaign, which is a symbol of domestic abuse awareness. 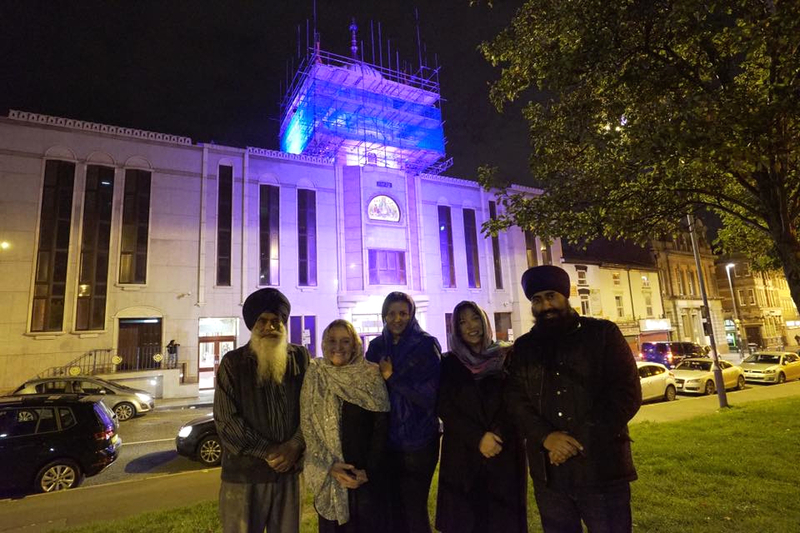 The event launched by Gurdwara President Jatinder Singh, Sara Ward, Deborah Slater and Raj Gill from Black Country Women’s Aid who witnessed the spectacle on Monday night. more than a symbol – domestic violence cannot be ignored. To create change, we have to talk openly and acknowledge how domestic violence affects our communities, our families and our lives. We can’t just turn away. Get involved with BCWA’s Go Purple campaign this October to raise funds and awareness. Find out more here. You can also read more about Guru Nanak Gurdwara Smethwick on their website.